Universal Yoga (UY) is not about Andrey Lappa, nor his style of teaching, though those ingredients are contained within the system. Neither is UY about the interweaving of ranges of mobilities, asanas, positions in space, vinyasas, bandhas, mudras, mantras and yantras, though those ingredients are also present. In UY, we look through the lens of 7 layers, rather than just 5 because we include the last two unmanifest layers of the cosmos – “Sat” – the layer of being, and “Chit” – the layer of pure consciousness. After all, the final state of enlightenment has the name “sat-chit-ananda”. It links the manifest with the unmanifest. Mara is a celebrated yogini and tantrika dedicated to the spiritual tradition of Free Yogis of the Himalayas. Having studied with powerful, spiritually-oriented practitioners such as Andrey Lappa, Chandra Om and Manju Jois, she has been exposed to a wide variety of asana systems and yoga schools. Mara has spent over a decade studying the Universal Yoga System, and working as Andrey Lappa’s North American assistant (Andrey being the creator of Universal Yoga). Through her studies and personal practices, she has found her voice as a householder dedicated to weaving together normal family life with the yoga practices of the Vajrayana (Tantra Buddhist) tradition. She is dedicated to bringing supple strength, powerful softness and practical proficiency to each person’s evolving relationship with yoga. 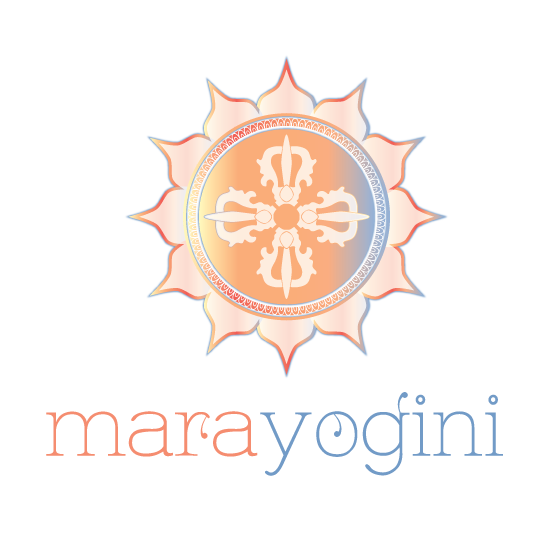 Through her yoga school “Balanced Unity Yoga” Mara strives to create an atmosphere of scholarly learning, skillful practice and spiritual happiness.